If morning sickness was not a problem in the first few weeks of pregnancy, it may arrive with a vengeance during the sixth week of pregnancy. Hormone levels are rising rapidly and the increased levels of estrogen and progesterone make many women queasy at this point in the pregnancy. Fatigue may also reach epic proportions, causing many women to struggle to get through the day without a nap. The baby develops rapidly during the sixth week, and a fetal heartbeat may be seen on ultrasound during this week. Some women will receive a "viability" ultrasound to confirm the baby is developing on track and the little heart has begun to beat. Bloating as the uterus begins to expand. Nausea and vomiting ("morning sickness"). Itching skin over the abdomen. Nausea can be helped by eating small, bland meals throughout the day. Crackers and nuts help many women get through this phase of pregnancy. Other natural morning sickness remedies include ginger, mint tea, and Emetrol (a sugary anti-nausea formulation that is safe during pregnancy). Take heart: most women who experience morning sickness will find relief once they enter the second trimester, at around the 12th or 13th week of pregnancy. The baby develops very quickly at this gestational age. Four weeks old from the time of conception, the baby is now 1/4" long. 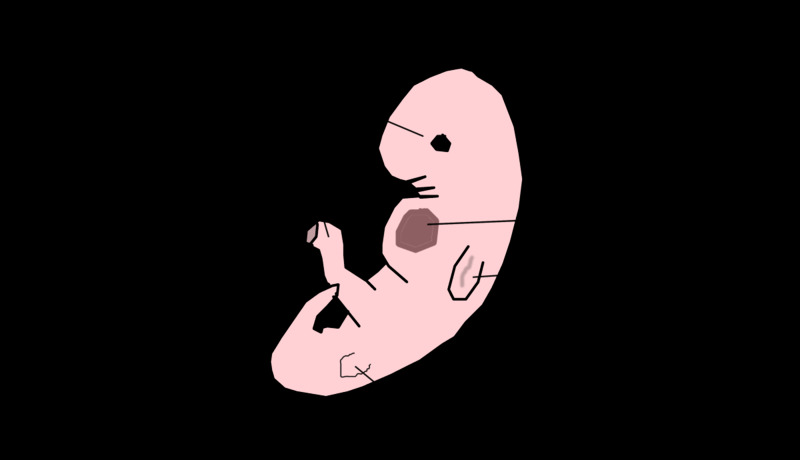 The baby now has a head and a tail: baby is curved into a C shape as the baby's back is growing more rapidly than his or her front. The heart starts to beat, circulating blood cells produced by the yolk sac. Baby's heart rate is nearly twice an adult's rate: the fetal heart beats at 100-160 beats per minute! The baby's heart only contains two of four chambers at this point in time. Arches appear on the baby's head, and these will form the airways and jaw. The small passage to the baby's inner ear is also forming this week. While they can't be seen by ultrasound just yet, very tiny buds that will become arms and legs develop toward the end of this week. 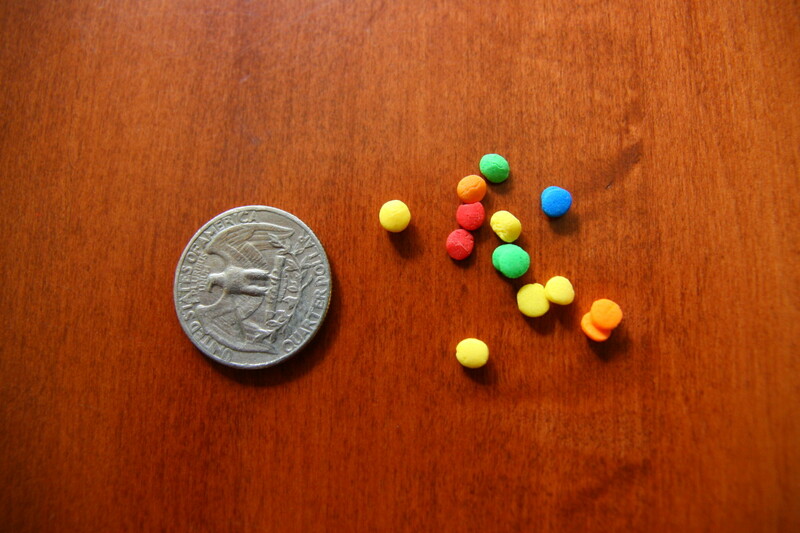 The other big news this week: the umbilical cord begins developing! Verify a healthy pregnancy and fetal heart beat. Measure the size of the baby. Confirm the expected gestational age of the baby. Measurements taken early in pregnancy are very accurate at determining the baby's gestational age. 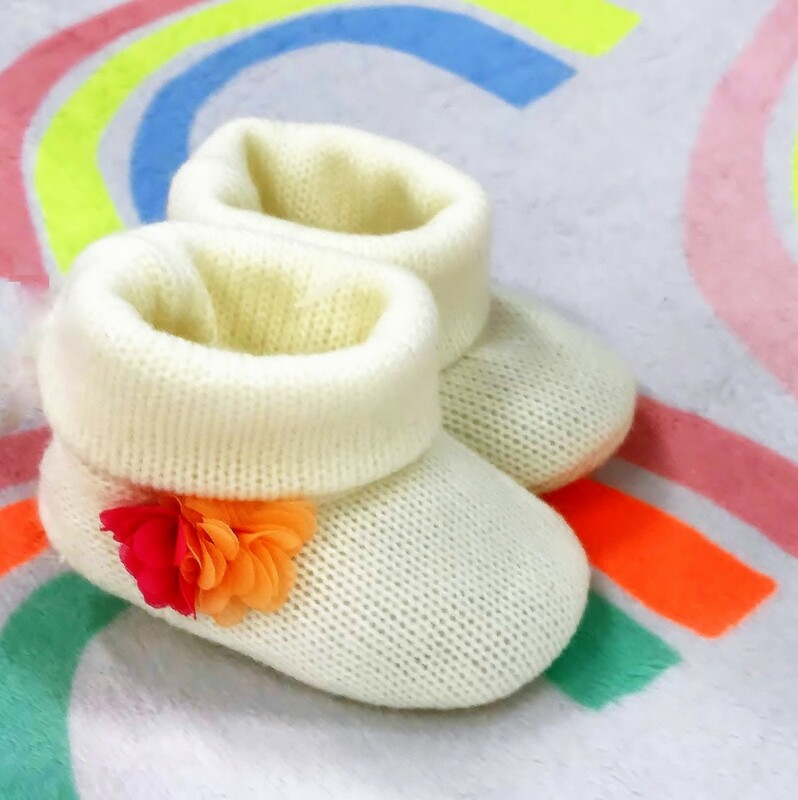 All babies grow at approximately the same rate at this stage, so dating ultrasounds are generally done early in pregnancy. In late pregnancy, babies' growth rates vary considerably and are less reliable for dating a pregnancy. Even if a viability ultrasound is not performed this week, many women will have their first doctor's appointment sometime between 6-8 weeks of pregnancy. Some offices have women come in to fill out paperwork and receive an estimated due date based on the first day of the last menstrual cycle before booking an official appointment. The first visit to the obstetrician will generally include a urinalysis, pelvic exam, pap smear if one hasn't been performed within the year, blood work, and a chance to talk to the doctor about your medical history, concerns, and questions. Be very honest on all medical questionnaires. The doctor needs information on any past diseases, medical procedures, and pregnancies to care for the baby appropriately. Risk factors are determined at the first appointment and monitoring of the pregnancy may be increased if deemed necessary. What Is a "High Risk" Pregnancy? Pregnancy with multiples (twins or more). Previous pregnancy complications like premature rupture of membranes leading to premature birth. Blood clotting disorders like Factor V Leiden. Anatomical uterine anomalies, like bicornuate uterus. While receiving this label may be frightening, it does mean that your doctor will pay closer attention to ensure the best outcome for you and your baby. Additional tests may be performed, and you may receive more ultrasounds than a "low risk" pregnancy. Mothers with gestational diabetes will have their blood sugar monitored and may require insulin, and those with blood clotting disorders may receive anti-coagulants to ensure a healthy pregnancy. Women may be shocked when they receive the "advanced maternal age" label, which applies to anyone who will deliver a baby at the age of 35 or older. The risk of chromosomal abnormalities does increase as a woman ages, but the risk does not jump overnight. Women may opt for additional testing (such as amniocentesis or chorionic villus sampling) if an early ultrasound or blood work reveals a high risk for genetic problems. Many women who elect for the extra testing do so to be prepared: the test results can give parents the ability to adjust to a diagnosis before birth. In addition, most of the time, the extra testing reveals a healthy pregnancy and the mother can breathe a sigh of relief without worrying for the next 7 and a half months. When was your first ultrasound? I never had an ultrasound scan during my pregnancy. How do you test to see if hCG is doubling? The best way to test the concentration of hCG is to see your doctor and have a beta hCG test ordered. This is a blood test that will give a quantitative number that can be monitored over time to tell the rate of increase. Urine pregnancy tests are qualitative, which simply tells you if you are "positive" or "negative," but cannot give a concentration of hCG. 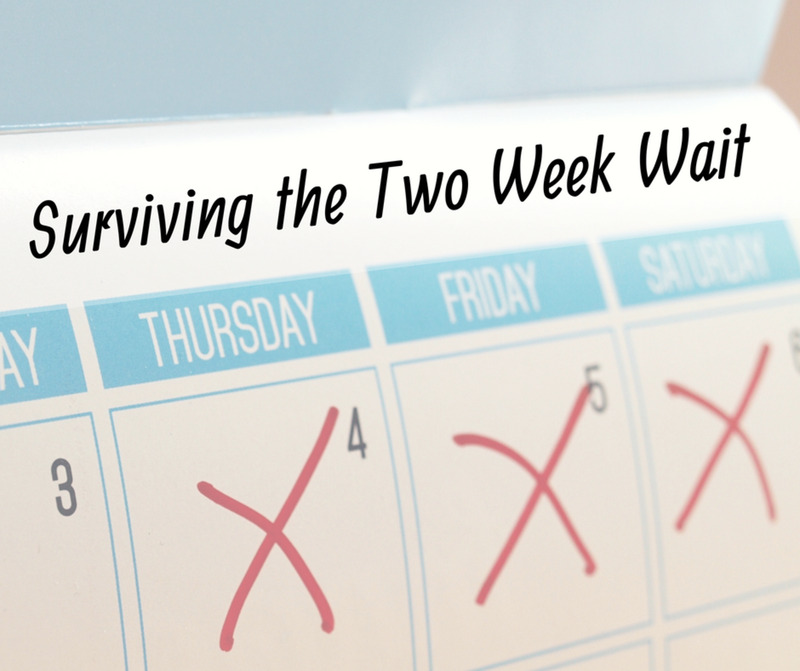 Why did my hCG not double in 48 hours during the 5th week of pregnancy? There are a few reasons for a failure of the hCG level to double in early pregnancy, including an impending miscarriage or ectopic pregnancy. A physician's examination is required to determine why your hCG levels are not doubling as expected. A good doctor (obstetrician) and proper diet are definitely crucial, kellyks! I have two very happy children and remember the early pregnancy days very well. The "morning" sickness was really the most difficult, and best helped with small protein snacks throughout the day. Hi dear. I am very happy that you are asking the question on a public platform. The first thing you need in that period is the support of your husband. My husband is the biggest support in my life and I hope your husband is also like that. The other thing you need is a consultation of a good gynecologist. I am blessed to have consulted with one of the best gynecologist from Ukraine in that period. He listened to all my problems and his tips helped me a lot during those days of pregnancy. The next thing you should look at is proper diet. You must eat food containing rich iron which will increase your hemoglobin level. You can read books, listen to music and be as much stress-free as possible as it can harm your baby. You can play some small games to carry the blood circulation in the body. I hope my tips will help you and you will give birth to a bright and beautiful baby. Good luck and stay blessed. Goodness, I remember being so uncomfortable during the last weeks of pregnancy - even my maternity pants wouldn't fit! It is a vital trick, Teaches12345. 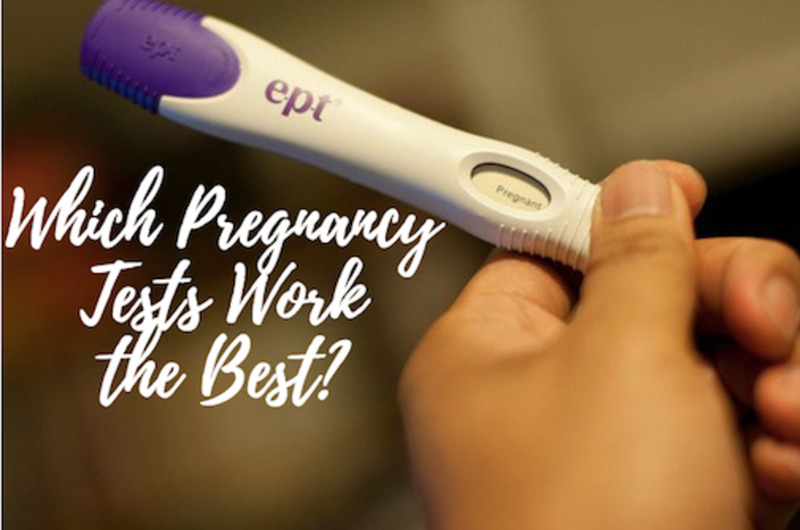 The rubber band trick works well at the beginning - and end - of pregnancy! Leah, the rubber band photo reminded me of my pregnancy. Yes, I had to resort to this method during my last few months. Keep up the great writing!